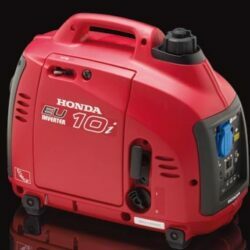 Want a generator that is as versatile as it is dependable? 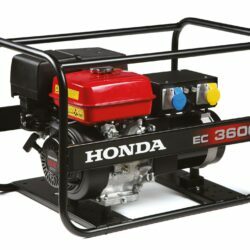 If so, take a look at the Honda EM4500. 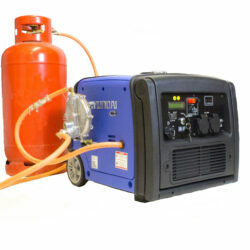 The EM4500 provides clean electricity with prolonged operation time making it perfect for a large variety of demanding purposes including home power back-up and running job site equipment The Automatic Voltage Regulator ensures a consistent voltage output no matter what type of gear you’re running. The switchable voltage feature, circuit breakers, and multiple outlets allow you to run different appliances with safety. 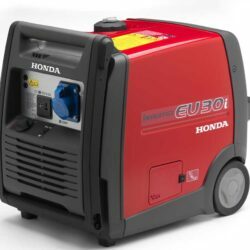 The EM4500 generates a maximum output of 4500W for an extended run time of up to 9.2 hours on a single tank of fuel and the noise-reducing design enables you to run the generator without creating a lot of noise. No matter how you look at it, you can’t go wrong with the Honda EM4500.